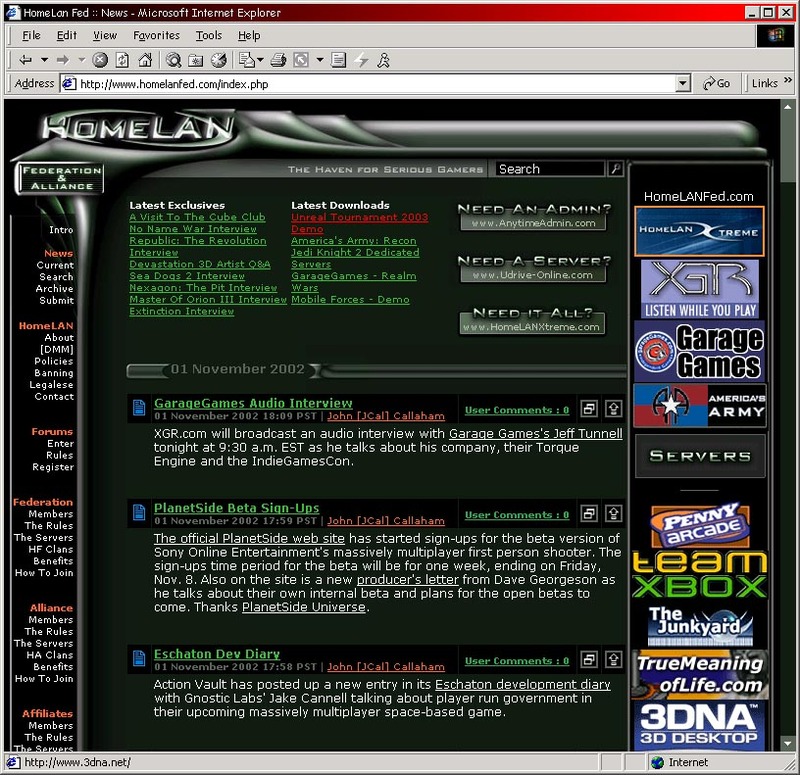 Various memories from PSU's past. 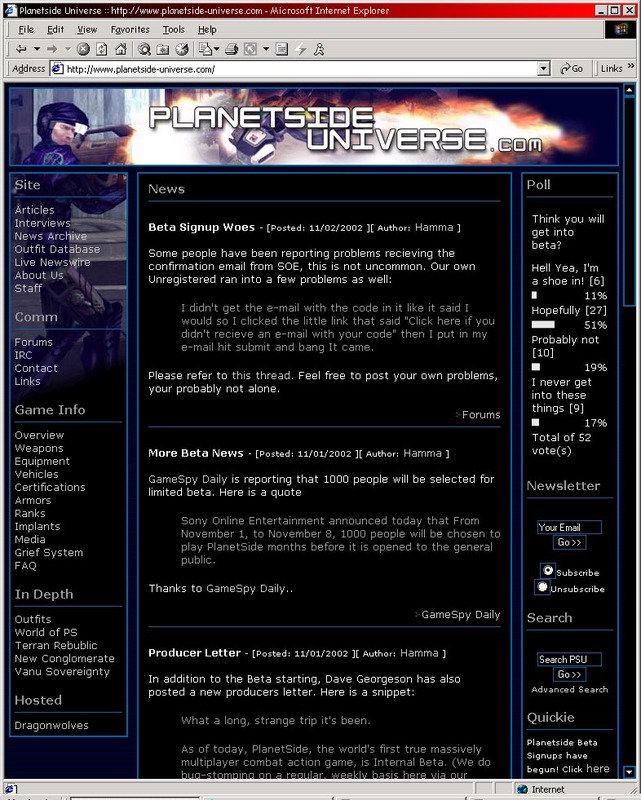 PlanetSide Universe breaks the beta news to the Major News Sites, shown here is HomeLAN. 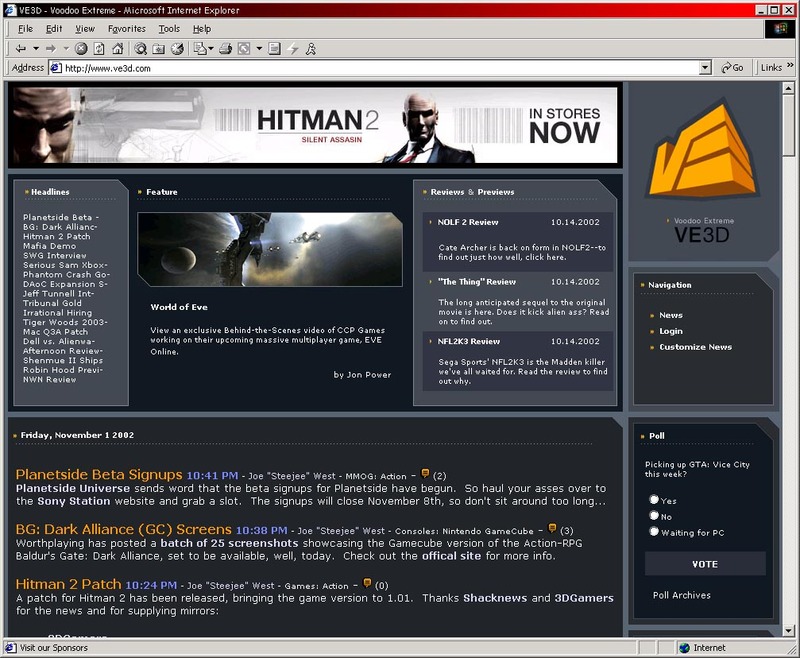 PlanetSide Universe breaks the beta news to the Major News Sites, shown here is Voodoo Extreme. 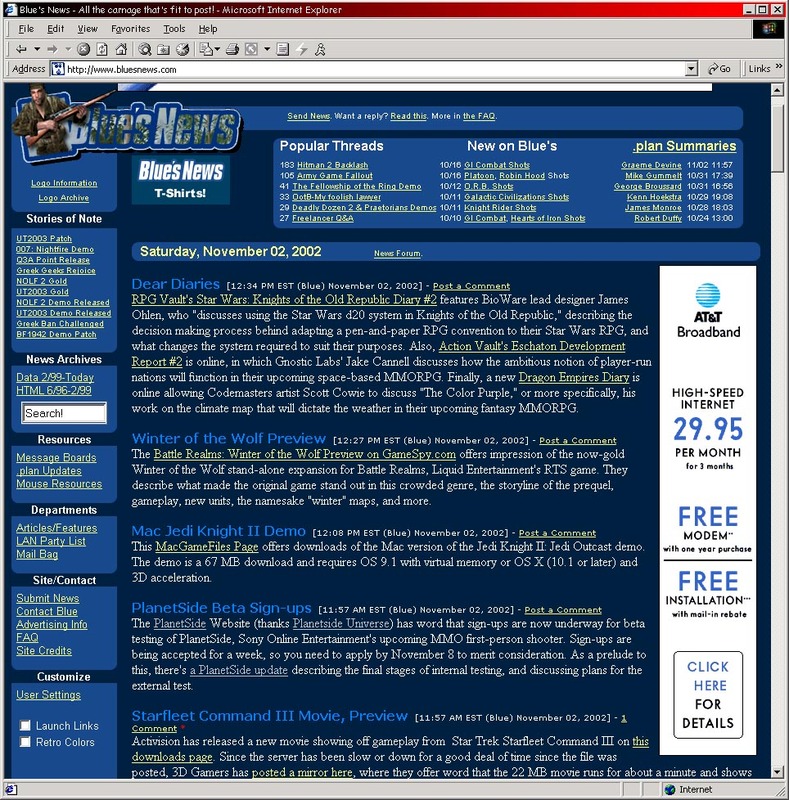 PlanetSide Universe breaks the beta news to the Major News Sites, shown here is Blues News.